Through Redeemer Lutheran Church's children's and youth ministries, young people in our congregation and community are provided a safe place to belong and be loved through weekly Sunday School, monthly youth gatherings, annual participation in the Holy Hoops basketball league, and more. In partnership with our sister non-profit Redeemer Center for Life, we are able to introduce many youth and young adults to their first opportunities on a college campus, first internships, first jobs, first organized sports team, and more. Redeemer doesn’t stop at firsts, but uses the first point of engagement to springboard into life-long community- building relationships. Young Adults at Redeemer engage freely in the full life of the congregation, contributing their gifts and offering their leadership in both worship and in the community. Redeemer has also created several spaces where young adults are encouraged to connect, learn, and grow. Redeemer and Redeemer Center for Life have made a special effort to provide housing for young adults as well as opportunities to serve and build personal and professional connections in the Harrison community. ​Young adults from Redeemer especially enjoy gathering for H-Cubed, a monthly open-mic community event where they share art, poetry, music, and conversation around systemic issues. Redeemer is committed to working for social justice and equity in our neighborhood, North Minneapolis, and wherever we have influence. We strive for to be reconcilers among people of color, minorities, the LGBTQIA+ community, and as representatives of the Body of Christ who is all and is in all (Col. 3:11). 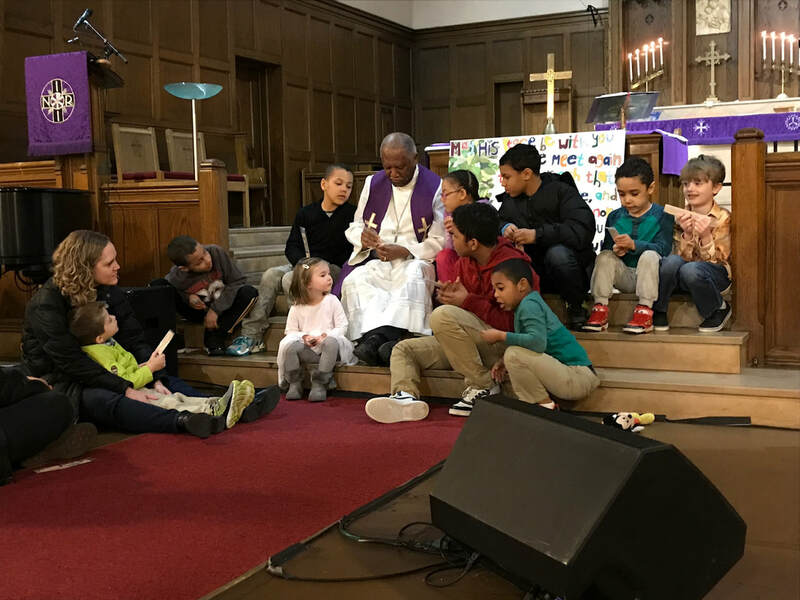 During 2017, Redeemer partnered with Edina Community Lutheran Church and Westwood Lutheran Church to co-sponsor a monthly race forum through which we engaged with congregants and the community about how to be a Beacon of Hope for racial justice. The process of learning and listening ultimately birthed the Black Lives Matter Coalition within Redeemer. In 2018, Redeemer is continuing the work of reconciliation as we fully establish and solidify our commitment to LGBTQIA+ inclusion and affirmation, and to learning from our queer neighbors what it means to be the full reflection of God as people of all genders and orientations walking together in faith. ​Once each month, the Women of Redeemer gather for conversation, laughter, and pure joy, and once annually gather at Bay Lake Camp for a weekend retreat. Throughout the year, our women gather to celebrate and shower each other in congratulations for new marriages, new babies, and new lives. If you would like more information about monthly women's gatherings or would like to receive updates regarding our Redeemer Women’s ministry, please contact the Women’s Ministry coordinator, Mali Jensen.